On May 1, 2014, I started on a journey that would challenge me and change my life in many ways. One year ago I started tracking my macros and gave up adult beverages. When I began I told myself that I would be “balls to the wall strict” for 100 days and then I would celebrate with a drink! I was not a drinker per say but during social events I would enjoy myself plenty. Well here we are 365 days later and the journey has brought me so much more than just a smaller dress size. This journey actually started MANY years ago when I got on the scale and saw that I weighed 225 pounds at just 21 years old. I was shocked at this number and I was clueless about making healthy choices to change my lifestyle. This would begin a rollercoaster of ups and downs, a journey of trial and error, a path to greater knowledge and overcoming obstacles. I joined a gym and started working out, doing endless hours of cardio and the weight machine circuit. I also started watching what I was eating, or at least I thought I was watching what I was eating. I was actually filling my body with packaged and highly processed chemical “diet” crap foods. I lost weight and I was excited but I was still fat. At some point on my journey I discovered ephedra pills and started popping those bad boys. The weight was falling off and by the time I graduated college I looked like a whole new person. I began my career teaching elementary school and decided that I also wanted to be a group fitness instructor! I was excited to learn and to teach classes at my local gym. I became certified by Aerobics and Fitness Association of America (AFAA) in both group fitness and personal training. I started teaching classes at the gym part time and I loved it! I worked in a globo gym for 14 years; I taught yoga, cycle, body sculpt, aqua aerobics, step, and high/low classes. I was also a runner, having completed 9 half marathons, a full marathon and many obstacle based runs. My workout life was an endless cycle of cardio, light weight reps and “diet” foods. I was skinny fat, yet still not skinny. I felt that I needed to lose more. Enter yet another bad idea – the HCG Diet. This one was just crazy. Injections and 500 calories a day for a month! Yep, I did that and somehow still had the energy to teach school and all of my classes at the gym. I lost 10 lbs. and was down to 143. I thought I looked great, people were giving me compliments galore so clearly this was a good thing. Right? Wrong! When your month is up this is not a sustainable way to live life! Eventually I gained 10 pounds back but I was feeling great, looked good and was content. I made a huge life change. I had recently started CrossFit and decided to quit my part time job at the gym. I also sold my house and moved in with my boyfriend. I weighed 153lbs on the day I moved in and I remember exactly what I wore on moving day. Now I had made the change to a Paleo lifestyle, was cooking family meals, baking “Paleo Treats” and enjoying many apple cider beverages on the weekends with my boyfriend. Life was good and then one day I woke up and realized I had put on 30 pounds! What the what?!?!? Yes, I know it did not happen overnight but somehow I was oblivious to it creeping onto my thighs and hips! In the eyes of this Paleo newbie, the treats and apple cider were amazing and I thought it was a free for all! In a year’s time I had gained 30lbs, all while Crossfitting and eating Paleo. During this year I also became a Level 1 CrossFit Coach and had begun the startup of my own Paleo meal prep business. I actually had a kitchen, a registered business and was waiting on my license from the state when I realized the path I wanted to be on did not include cooking for others. I thought that people NEED to learn how to cook for themselves, how to properly nourish their own bodies without relying on ready-made meals. Yes, having meal prep is an awesome help but as the saying goes, “Give a man a fish and you feed him for a day; teach a man to fish and you feed him for a lifetime.” I decided that going back to school to get my Master’s Degree in Holistic Nutrition would be a better decision for a path that would help people. Let’s go back to the start of this write up…a year ago today. In May of 2014 I began working with Vanessa on my macros and REALLY looking at what I was consuming. Yes I eat Paleo, grass-fed and organic BUT I was also eating more food than I should for my body. Looking back I know I put my body through a lot and now I am knowledgeable and aware. 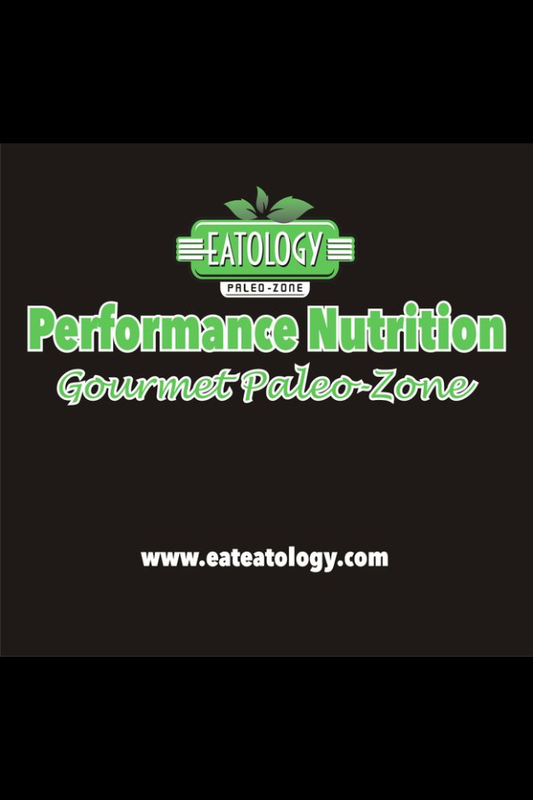 To me it isn’t about being 100% Paleo perfect as much as it is about fueling my body with nutrient dense food. In a year’s time, I have dropped 40lbs, numerous inches and a significant amount of body fat. The knowledge that I have gained had given me the opportunity to help others on their own personal journey. For this I will forever be grateful to Vanessa and Chuck Bennington. May 1, 2014 184 lbs. May 1, 2015 144 lbs. Sharing this my story is one thing. Sharing a picture of myself in a bikini is an emotional experience. My body will always have reminders of the journey I have taken. Loose skin and old stretch marks are a part of that journey. As is learning to love yourself and forgive yourself.